Why Resume Writing Tips FOR NINJAS? It’s quite simple… I checked out the top 10 most read blogs on the SAS Website, and at least 3 out of 10 had the word Ninja in it. 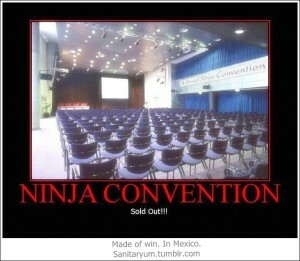 Plus, everyone knows that Ninjas are awesome. Here’s a picture of my own little ninjas. 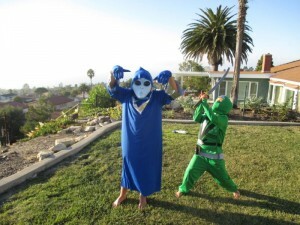 Please note: Yes, one of these Ninjas is, in fact, posing as an alien. As you may know, I have been an executive recruiter for the past 15 years. I started Synchrony Solutions, Inc. in 2003. We are a woman owned executive search firm that specializes in placing professionals in Statistical Analysis, Information Technology, Business Intelligence, Big Data, SAS, ETL, Predictive Analytics and Modeling, Data Mining, and Clinical Trials. Our primary verticals include Pharmaceutical, Biotechnology, Healthcare, Financial/Credit, Market Research, and Fast-Growing/Emerging Companies. The bottom line is this: I have seen A LOT of resumes. 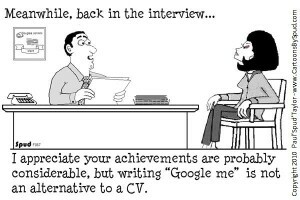 With the advent and prominence of social media sites like LinkedIn, many want to argue that we no longer need resumes. To this I say: RUBBISH! Recruiters and hiring managers have specific orders that they are trying to fill, and you need to get their attention in the most efficient way possible. The best way to do this is to have a professional, powerful, accurate resume. Contact information should include first and last name, phone number, e-mail address, mailing address, and citizenship. Some people choose to leave off their last name, address and/or phone number. If your resume leaves me with more questions than answers, I probably won’t reach out to you. More likely, I will skip over your resume and move on to the next. Bottom Line: Include all information details. You may notice that there was no Objective Statement in my list above. Objective statements are passé. 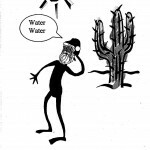 Objectives are “me” oriented – the focus is on what the job seeker wants in a position. Conversely, Qualifications Summaries show the hiring manager what you have to offer, and why you are a good fit for the advertised position. Reports suggest once a hiring manager or recruiter opens your resume you have between 10-20 seconds to make an impact. No impact, no interview, no job! Bottom Line: Grab the reader’s attention with a great Professional Summary. Technical skills can come before or after your professional experience. I prefer it at the top, but both are ok. This section is vitally important because it contains a lot of Resume Keywords. Recruiters and hiring managers conduct numerous searches on career sites each day. If your resume (LinkededIn profile, etc.) doesn’t include keywords – you won’t be found. When trying to decide what keywords to use, try to put yourself in the hiring manager’s shoes. What would you search for when hiring someone for the opening you are applying for? Another great way to find keywords to incorporate on your resume is to search for job postings on-line. Job postings and advertisements will include particular qualifications, software knowledge, or experience that is required for the job. Look at what words they are using to describe the position, and make sure to include them in your resume. Bottom Line: Include lots of Keywords in your Technical Summary, and throughout your resume. Professional Experience is the MOST IMPORTANT section of your resume. A study conducted by the job-search site TheLadders and reported on by Lauren Weber found that recruiters look at a resume for an average of 6.25 seconds before deciding if the candidate is a potential fit for a job. For the study, TheLadders asked 30 recruiters to review the resumes of five people, first a version written by the individual and then a version rewritten by a resume expert. The recruiters also looked at two different versions of the online professional profiles of three people. The firm used eye-tracking technology—infrared lights that lock onto the pupil, combined with cameras that measure pupil dilation— to trace exactly where recruiters’ eyes landed as they reviewed the resumes. They found that Recruiters primarily look for six key pieces of information in the following order: name, current title and company, previous title and company, start and end date of previous position, start date of current position and education. Bottom Line: Recruiters prefer clean and uncluttered formats. Generally speaking, less is more. Even though candidates are no longer expected to stay at companies for life, if you change jobs too often (even as a contractor or consultant), clients may still perceive you to be unstable or flakey. This is the a huge red flag. As a rule of thumb, candidates should show an average tenure of AT LEAST 2-4 years. Other red flags include big gaps in your resume. If your resume has any red flags and gaps then make sure to address this in your cover letter. (I will cover Molly’s Tips for an Awesome Cover Letter in another Newsletter). Bottom Line: If your Resume has Red Flags, address them in your cover letter. In closing, remember to concentrate on simplicity, use a standard resume format, and use keywords and bullet points.